First it was an Asian gastropub. Then, Spanish tapas. Sushi. Italian. A steakhouse. I would joke that when the Pubbelly Boys opened a burger joint, they'd be able to declare Miami restaurant "BINGO!" Instead, they went a different route – their latest project is L'Echon Brasserie, located in the Hilton Cabana hotel, up in the northern reaches of Miami Beach (i.e., 62nd Street). This makes me happy for at least a couple reasons: (1) Miami lacks good casual French restaurants; and (2) North Beach is closer to home for me than the rest of their South Beach outposts. (You can see all my pictures in this L'Echon Brasserie flickr set). The hotel, well, looks like a Hilton. And the dining room too is maybe a bit more corporate than other Pubbelly venues, but it still keeps some of the same spirit, and has the added virtue of an outdoor bar backing up to the ocean. 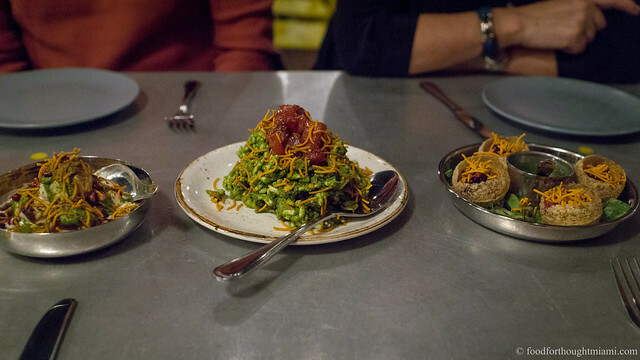 The food, meanwhile, is very much in the typical Pubbelly style: it takes the classic French bistro menu as a jumping-off point for some contemporary, usually indulgent, and often pork-centric, variations. 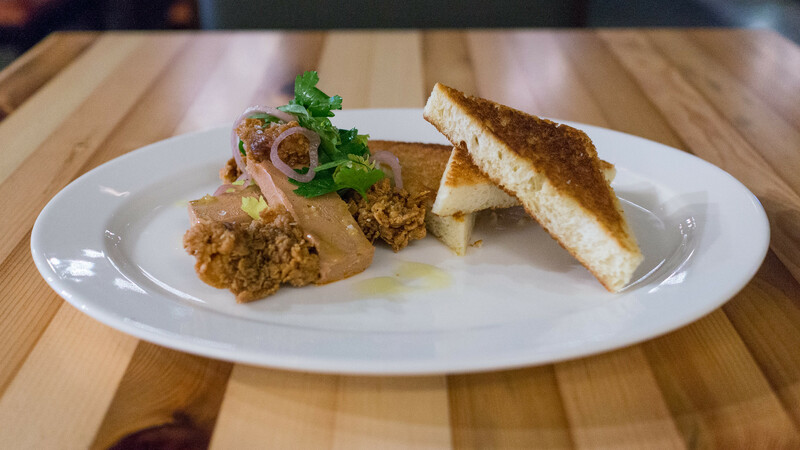 For instance: chicken liver mousse, paired with fried chicken livers? Sometimes I think the Pubbelly style is a bit too heavy-handed, and then I try something like this. 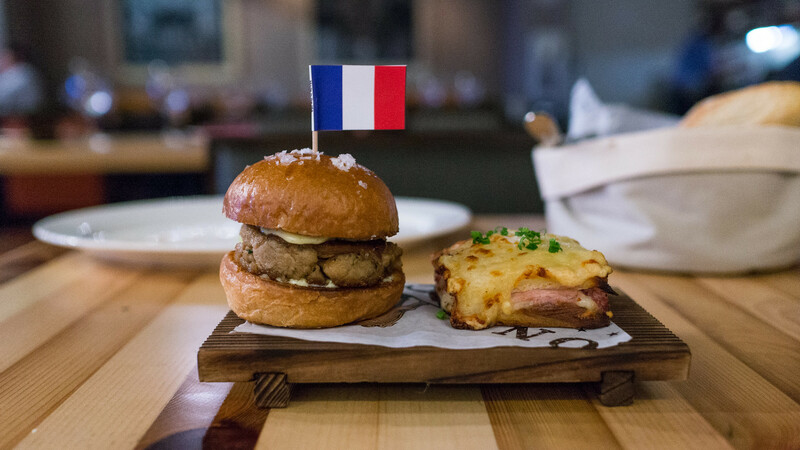 Or, pictured at top, the "Pan con L'Echon," a nice little slider of juicy cochinillo topped with pickled shallots and mojo aioli on a brioche bun, and the Croque Monsieur made with salty country ham, melty Gruyere cheese and an oozy bechamel. You can go old-school: there are seafood platters, pâté de campagne, steak tartare, moules and frites. Or you can find things more unconventional: hamachi crudo with black garlic soy, crushed tomatoes and olives, pan-roasted veal brains with brown butter and blue crab tartar sauce, a tartine topped with foie gras and nutella. 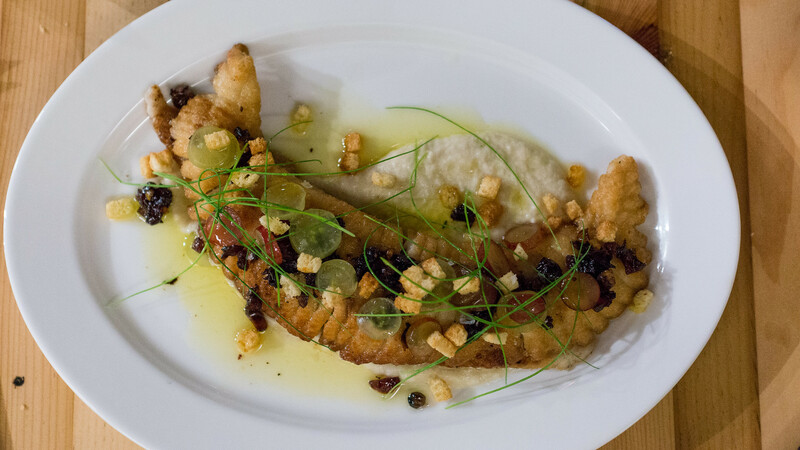 There's also plenty in between, like this skate wing a la grenobloise, prepared with brown butter, capers, slivered grapes, and dried cranberries over a celeriac puree. 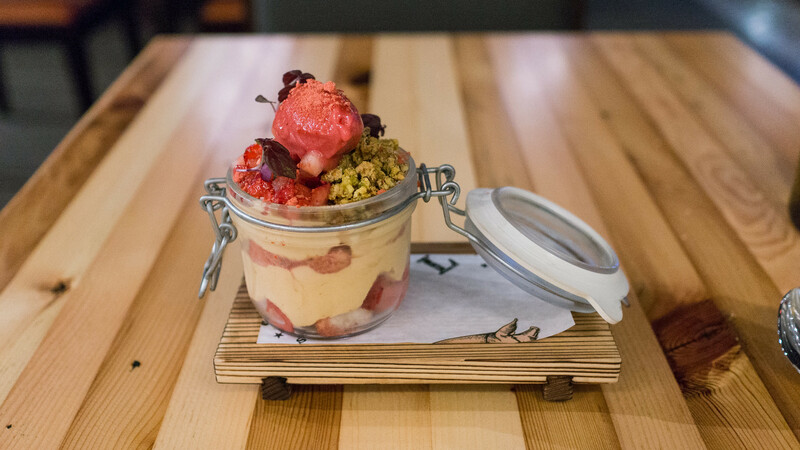 I usually skip dessert, but I was glad not to have passed up this little pot of strawberry-soaked ladyfingers, salted dulce de leche, strawberry sorbet and pistachios. The cocktail menu, crafted by PB's talented Ashley Danella, sticks with the Francophilic theme, including a French 75, a classic Champagne Cocktail, and a dangerously smooth Cognac Sazerac. I've only made a small dent in the menu and plan to go back for more soon. If you're interesting in doing so yourself, today might be a good day for it: it just so happens that July 14 marks the kick-off of their Happy Hour menu and a prix fixe Bastille Day Menu too. 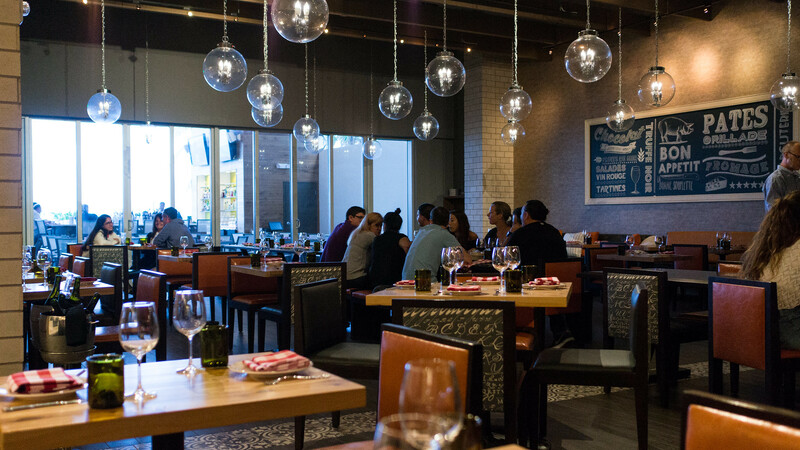 The Pubbelly Boys – Jose Mendin, Sergio Navarro and Andreas Schreiner – actually sold Macchialina to its Chef Michael Pirolo and GM Jen Chaefsky last year, and I'm not sure if Barceloneta is still in the fold either, as it's not listed on the Pubbelly Boys website.